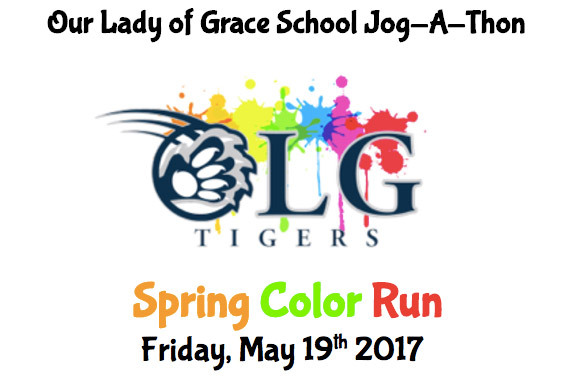 The Our Lady of Grace Annual Jog-a-thon takes place around the school track each Spring. Proceeds from the Jog-a-thon go directly to Our Lady of Grace School student Athletic Department. Students collect pledges and donations. All students who participate are served lunch.